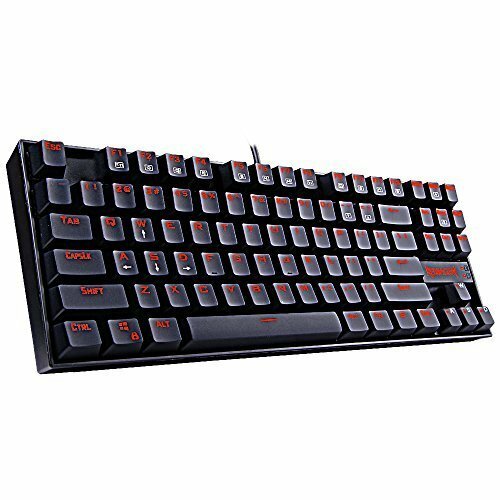 Perfect entry level mechanical keyboard. I will get something with more pizzazz later on. Its tenkeyless, if you're into that sort of thing. 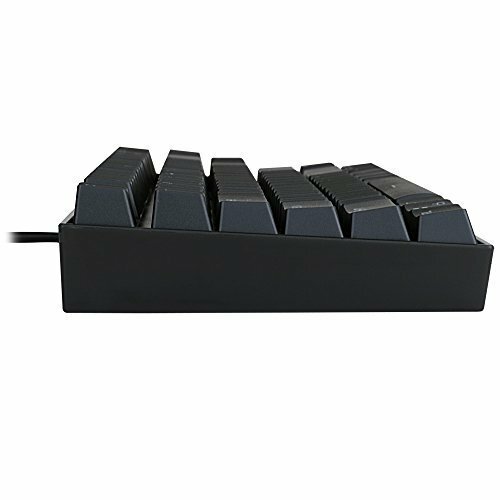 It has Cherry MX Blue EQUIVALENT key switches. 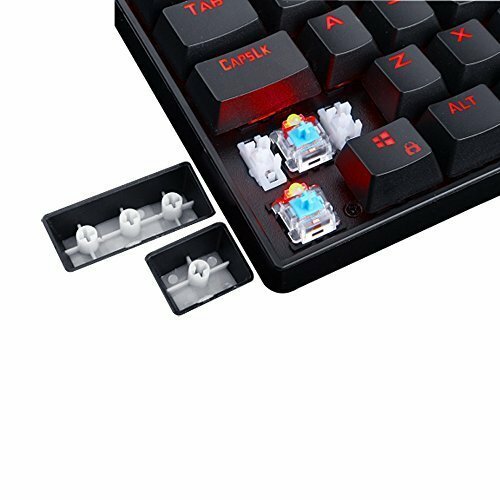 They are NOT cherry switches. 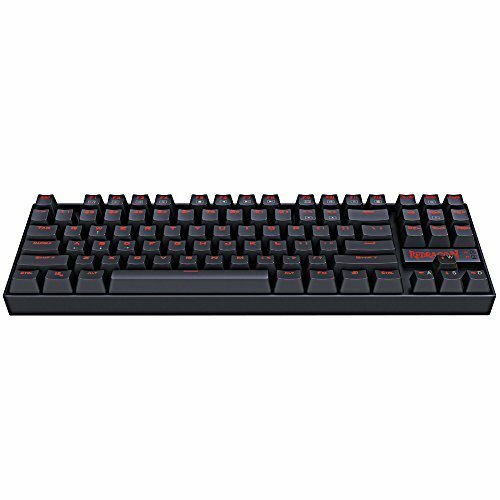 I can't believe the quality of this keyboard, nice and heavy great lighting (not RGB but fits my build), nice clicky mechanical keys, all for 35 friggin' dollars!!! 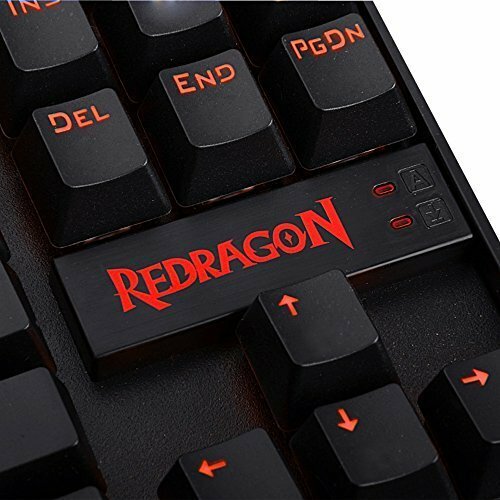 Reddragon is on point. The most satisfying thing ever? 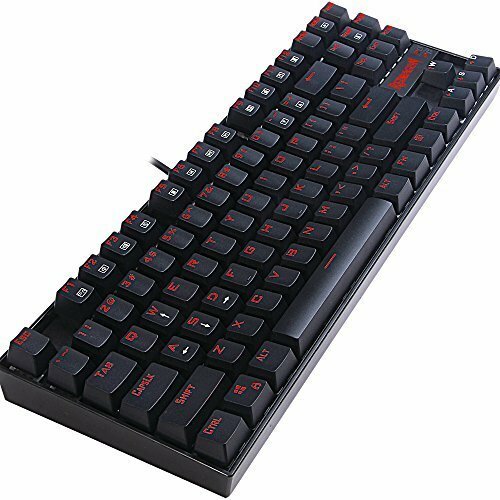 Clicking a mechanical keyboard for the first time!!!!!! Thing looks great, sounds great, and is quick. Perfect for the price!!! 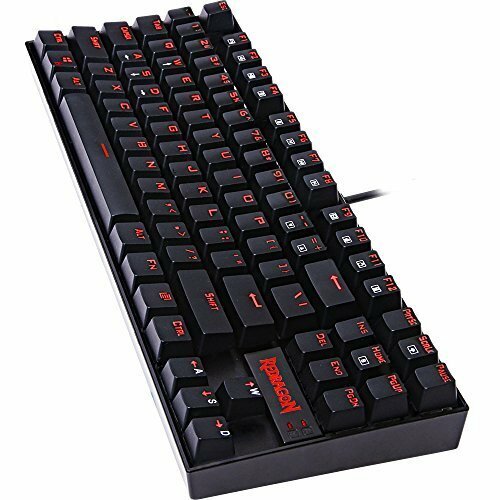 Amazing keyboard, especially for the price. 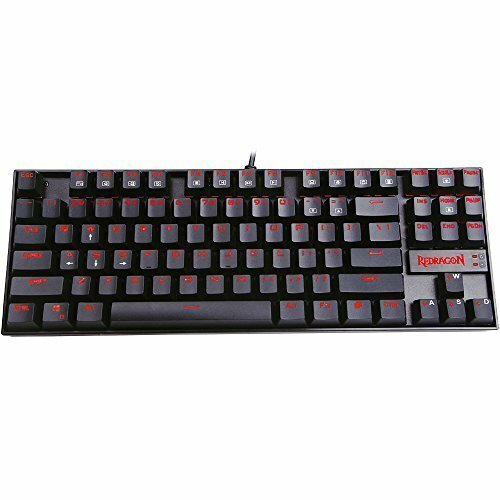 Feels really nice and has a very satisfying clicky sound (exept for the spacebar which has a deep thunk sound).